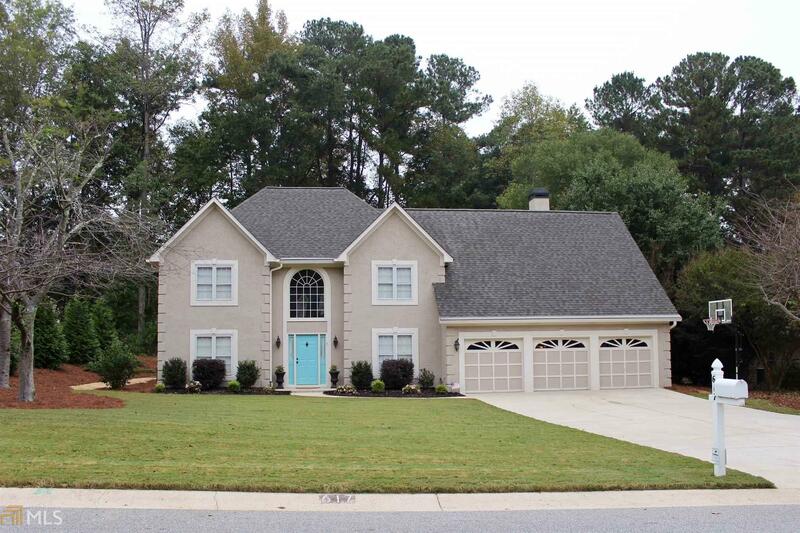 Simply elegant, this North PTC home has an open and flowing floor plan that is both practical & perfect for entertaining! The kitchen features generous counter space & cabinetry, large island, stainless appliances, & two pantries. The family room, with a beautifully remodeled fireplace, adjoins the kitchen & overlooks the sunroom. Manicured zoysia backyard with gas-stubbed fire pit and irrigation system borders green space, which provides privacy! Upstairs master bedroom with spacious en suite bathroom, plus four additional bedrooms, & two more full baths! Roof, gutters & guards, furnace, intr/extr paint, kitchen windows & French doors, invsb dog fence, plus all appliances new in 2017/18, A/C units 2015! 3-car garage, level lot, & quiet cul-de-sac street! Directions: 74 To Kedron Dr. Right On Walnut Grove Rd, Left On Magnolia Ln.